Sam Allardyce has been confirmed as Everton's new manager after signing an 18-month deal at Goodison Park. The former England, Newcastle and Sunderland boss will take charge of the Toffees for the first time time in Saturday's Premier League clash at home to Huddersfield. Allardyce said: "I've always thought Everton was a great club. It is a great club. Obviously, the club has gone through a difficult spell and hopefully I can put that behind us as quickly as possible and start looking upwards again." 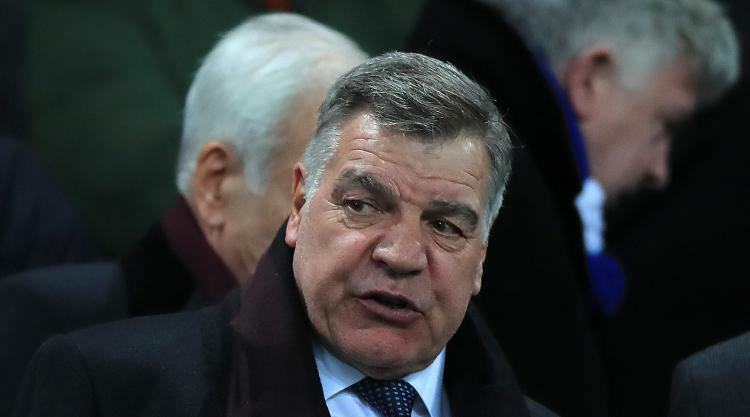 Everton announced on Wednesday afternoon that they were finalising a deal to secure the services of Allardyce more than a month after sacking Ronald Koeman. The 63-year-old had a watching brief as the Toffees put on their best display of the season to beat West Ham 4-0 at Goodison Park on Wednesday. That was the final game of an eight-match spell in caretaker charge for under-23s boss David Unsworth and an uplifting way to finish what had been a difficult run. "The attraction of the club itself, the people I've known at the club – Peter Reid is one of my best mates, so are Andy Gray and Paul Bracewell, whom I worked with at Sunderland – these people have always made me aware of just how special and unique a club Everton is and I feel really enthused and energised to come in as manager," said Allardyce. "Ultimately, it's the ambition of the club, the ambition of the owner and the board, allied to the fact that it's Everton and all the fantastic history, which have proved to be key for me. "Ambition is important for any manager or coach, owner or director. It's what you need to have and hopefully we can deliver to the fans to get this club high up the league. That's what we're aiming for. "Let's try to get a healthy spirit around the club. That's difficult when you're losing but the win last night over West Ham and the magnificent atmosphere around Goodison, which was just brilliant, well that's lifted everybody around the club. "Last season showed what the club is trying to build and we need to demonstrate that level of ambition and assuredness again. We can. It's a question now of putting in the work to do that and I'm really enthused by the prospect." Allardyce returns to management six months after leaving his most recent post at Crystal Palace. He guided the Eagles to Premier League safety before intimating he was retiring, saying he had no ambition to take another job in management. But the opportunity to turn around Everton's fortunes, and the deep pockets of owner Farhad Moshiri, have tempted Allardyce back. Moshiri no doubt did not expect to be turning to a manager renowned for getting teams out of trouble when he bought the club in February as they chased European football. But things quickly turned sour under Koeman this season and the Dutchman was shown the door after 16 months in charge. Moshiri said: "I'm delighted to confirm Sam as our new manager. His strong leadership will bring great motivation and get the best out of players. "Sam understands the long-term ambitions we have for this great club and I know he is a man who gives it his all and is focused 24 hours a day on the club. "Evertonians are the most passionate and best fans in the world and when the club does badly we all suffer. But in football everything changes very quickly, so I hope this will help to propel us to where we should be. "I would like to put on record our thanks as a club to David Unsworth for stepping up when we needed him over the last few weeks. He is a real Evertonian, embodying the commitment, pride and passion we all feel for the club." Unsworth will return to his role with the under-23s while there was no immediate confirmation of Allardyce's backroom staff.